Inside the world of Nats Getty’s lifestyle brand, Strike Oil. This past winter, in the Strike Oil studio in Culver City, we caught up with Nats Getty for an exclusive preview of her new artistic lifestyle brand, modeled by Nats, 25, and her iancée, Gigi Gorgeous. 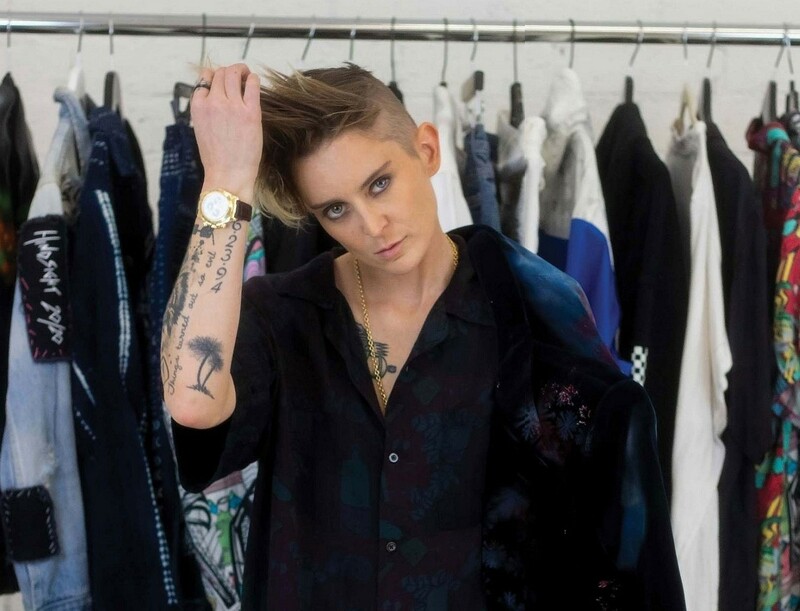 While sipping on LGBT-brand Equality Vodka Moscow Mules (Gigi), and a few beers (Nats), to a soundtrack of Ariana Grande, Justin Bieber, and Blink 182, Nats explained the motivation behind her Strike Oil brand and treated us to a display of her unique bespoke clothing. Taking designer pieces, Nats repurposes them with print, paint and appliqué, creating one-off signature pieces that embody her rebel-with-acause spirit.